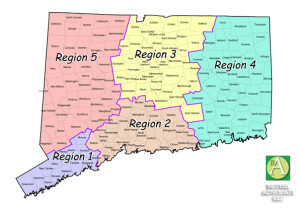 In the possibility that the town loses power during this storm, Bethel and other surrounding towns in CT Region 5 (see map below) have trained volunteers that are prepared to care for your pets when you and your family have evacuate to a local emergency evacuation shelter yourself (co-located companion animal evacuation shelters) due to outages or storm damage etc. In the possibility that the town loses power during this storm, Bethel and other surrounding towns in CT Region 5 (see map below) have trained volunteers from the Connecticut State Animal Response Team that are prepared to care for your pets when you and your family have evacuate to a local emergency evacuation shelter yourself (co-located companion animal evacuation shelters) due to outages or storm damage etc. Many times residents are hesitant to seek shelter when their home becomes flooded or heat is not working or other emergencies, because they do not want to leave their pets at home. When staying at co-located companion animal evacuation shelters you are able to see your pet often and feed and walk your own pet. 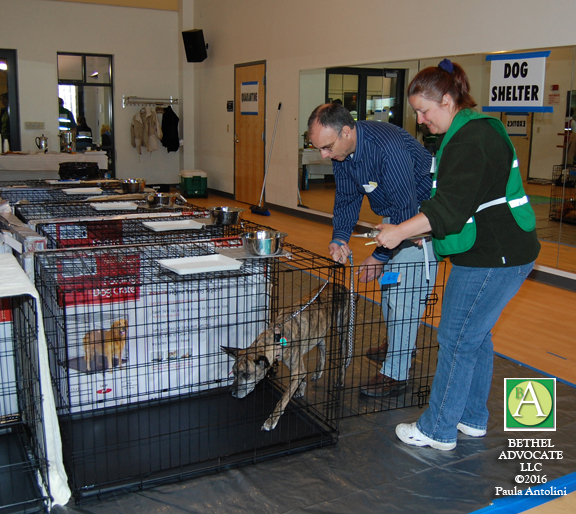 In Bethel human and pet shelters are located separately but in the same building. You will be required to bring certain identification papers with you, please read the other article on Bethel Advocate for details. Click on image above to view larger. The Connecticut State Animal Response Team is organized and always on call in case of emergency. The teams have NOT been activated at this time, but they have communication methods in place should this become an emergency situation. In Bethel the CJH Municipal Center is where the CTSART shelter would be set up for pet care (lower level) along with Red Cross (upper level) for residents in Bethel, CT unless you have been directed otherwise. 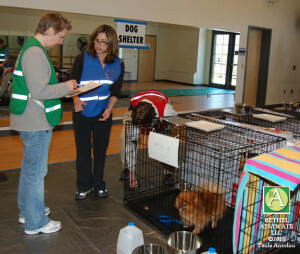 There are CTSART Region 5 Animal Care Coordinators (ACCs) for each town who have lists of volunteer names and contact information, ready to act in emergency. 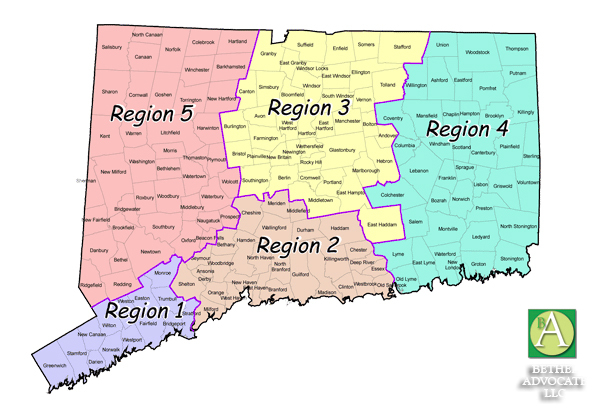 CTSART Region 5 Teams work together and if another town should need more assistance, volunteers will be called to areas in other towns. Basic pet supplies are on hand to set up shelters for each town and Region 5 has access to several trailers full of more supplies. Be prepared to bring certain supplies for your pet, click here for more details. 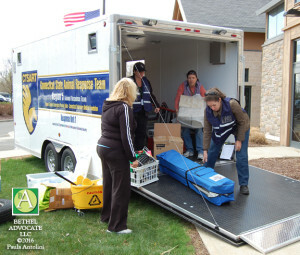 The Connecticut State Animal Response Team (CTSART) program is a collaboration among government agencies, not-for-profit organizations, industry, and volunteers for preparing and responding to animal needs in disasters. It is a public-private partnership, organized to prepare our state for any disaster that involves domestic animals in Connecticut. CTSART is the signature program of the Connecticut Veterinary Medical Foundation. CTSART missions include deployment of co-located companion animal evacuation shelters, building volunteer networks trained and state certified to assist with animal needs in disasters and public education. I love holding issues that are definitely not noticed in a rate event hjymkzleq be noticed in addition to found. This Smart Balance Wheel http://adf.ly/6249830/banner/www.fashionhoverboard.com could that will is robust. Purely Inspired® Garcinia Cambogia+ Gummies feature distinct crucial weight reduction components than Garcinia Cambogia+ Pills. genuine thoughts on this issue. Really.. thanks for starting this up. topic of this piece of writing, while I am also keen of getting experience. Hi there friends, fastidious article and fastidious arguments commented here, I am truly enjoying by these. Its not my first time to go to see this web site, i am visiting this web page dailly and obtain good facts from here daily. I’m definitely happy I found it and I’ll be bookmarking it and checking back often! up and if I may just I want to suggest you few fascinating issues or suggestions. explorer, may check this? IE still is the market leader and a big component of people will omit your great writing because of this problem. Hi to every single one, it’s really a good for me to go to see this website, it consists of helpful Information.